Is your trash compactor not working, or are you experiencing one of these common trash compactor problems? The trash compactor keeps running – it won’t stop on it’s own! Fixing your trash compactor may require addressing any number of problems such as a loose terminal wires, damaged chain or drive belt, faulty drive gear, broken or damaged gears, or a build up or debris. Our appliance repair techs are specialists at diagnosing and fixing all makes and models of trash compactors! 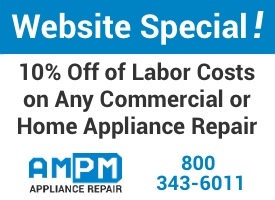 Contact AMPM Appliance Repair at 800-343-6011 and we’ll send one of our trash compactor specialists to quickly diagnose and fix the problem. 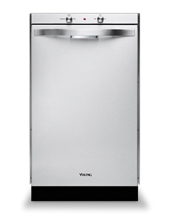 Our appliance repair techs carry a vast inventory of parts for all makes and models of trash compactors to ensure that we can handle just about any type of residential or commercial repair on the spot. Special Online-Only Coupon Offer: Mention that you found us online to receive a 10% discount on the cost of labor!